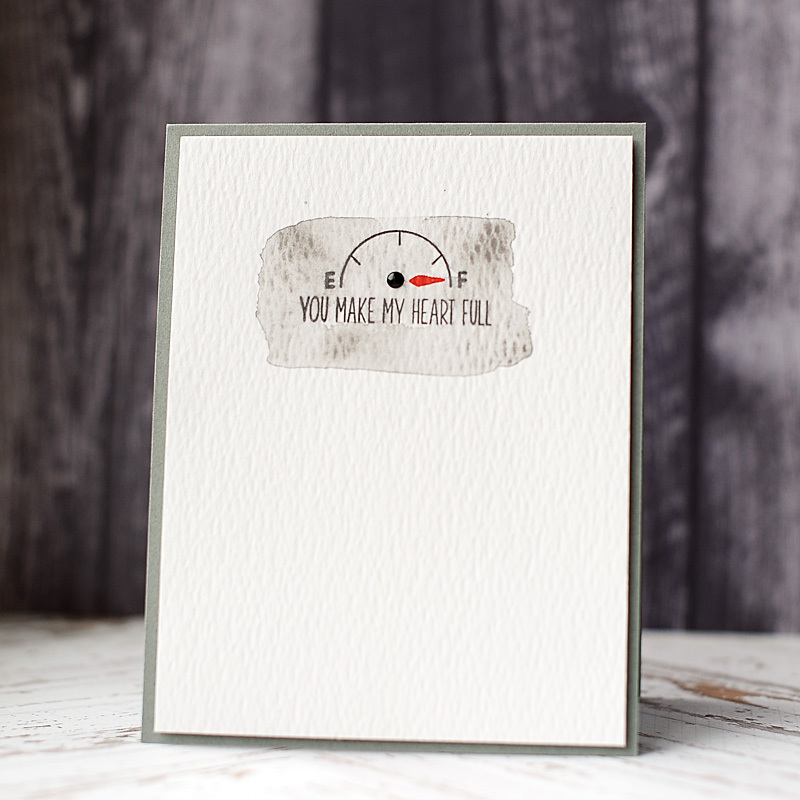 Welcome to day 2 of this month's Lil' Inker Designs April release! We've got some fantastic stamps, dies & papers to share with you this month. They will all be linked below for easy access to viewing & purchasing all of the new items! For my first card I focused on the new masculine themed set! Guys aren't much for bits & baubles, so I kept it super clean & simple. My second card uses the new critter set with the previously released "Border Builders Die set". I cut the cloud border from scrap paper, and then inked the background with two different blues to create the cloud effect. Please note that the dies I used were a sample set, and not the final approved dies. The dies that you purchase for this set will cut closer to the stamped image. For your shopping convenience, I have provided a link list with all of the newly released products on it. 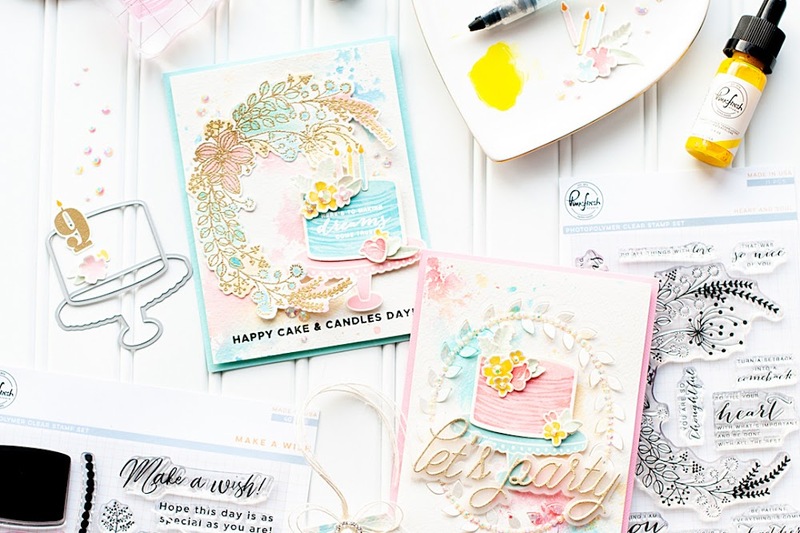 I will only be linking Lil' Inker Designs product for today's post, but if you have questions about anything else that I used...please leave them in the comments & I will reply. 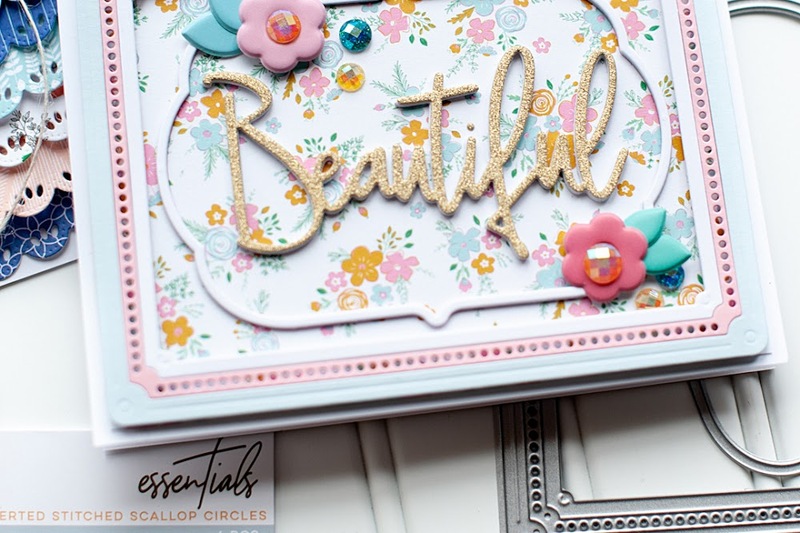 As is the case every month, this is a blog hop. Here is today's order so you don't miss a thing! There are three $15 gift certificates up for grabs...just be sure to leave comments on each blog to up your chances! 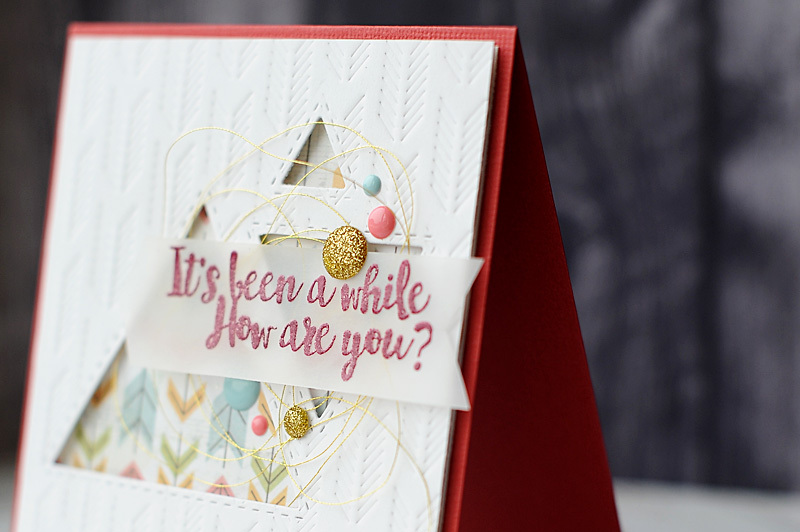 I hope you enjoyed the past 3 days of new Lil' Inker product, and can't wait to see what you create with your new goodies! Head on over to the Lil' Inker Designs store & pick up your must haves!! 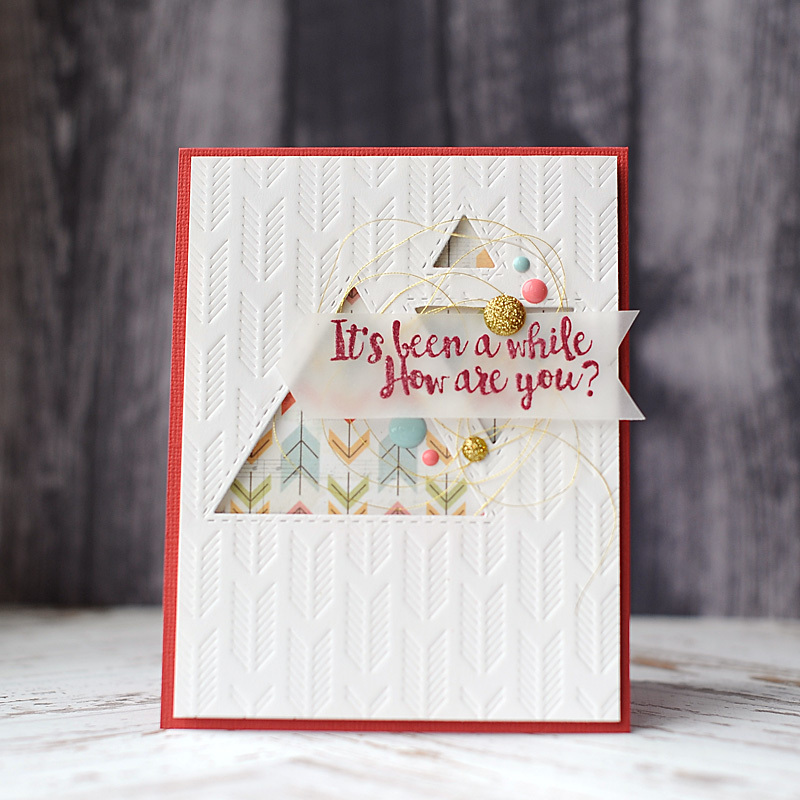 Today my cards are focused on the new Tribal Chic items! I was going to turn this first card into a shaker card, but I liked it so much in its simple form that I decided to leave it without the shaker part. 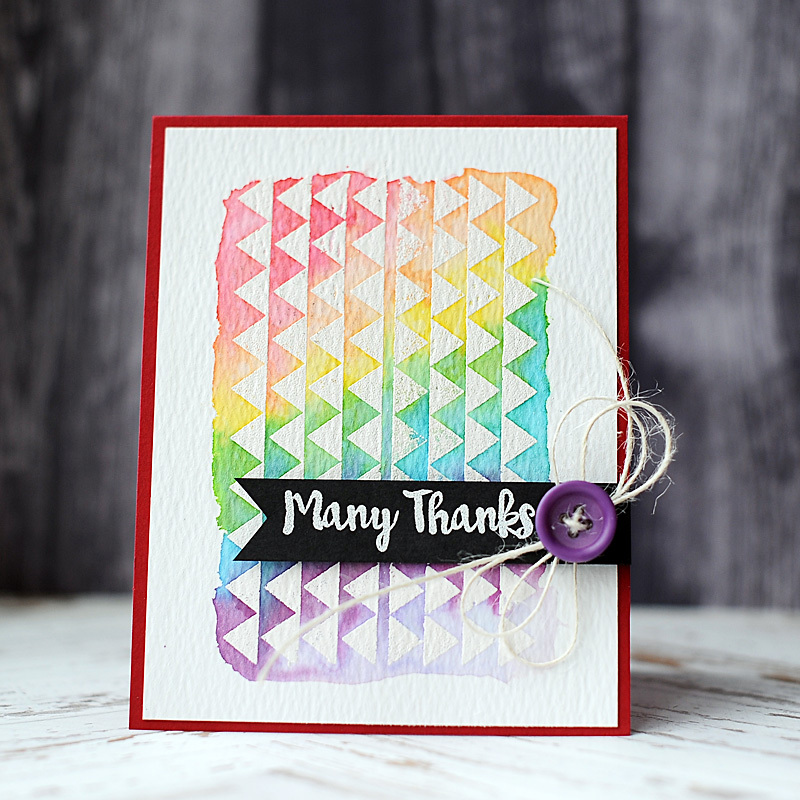 And for my second card I did one of my favorite techniques...rainbow watercolor over white heat embossing! I will be back tomorrow for Day 3 of the release! 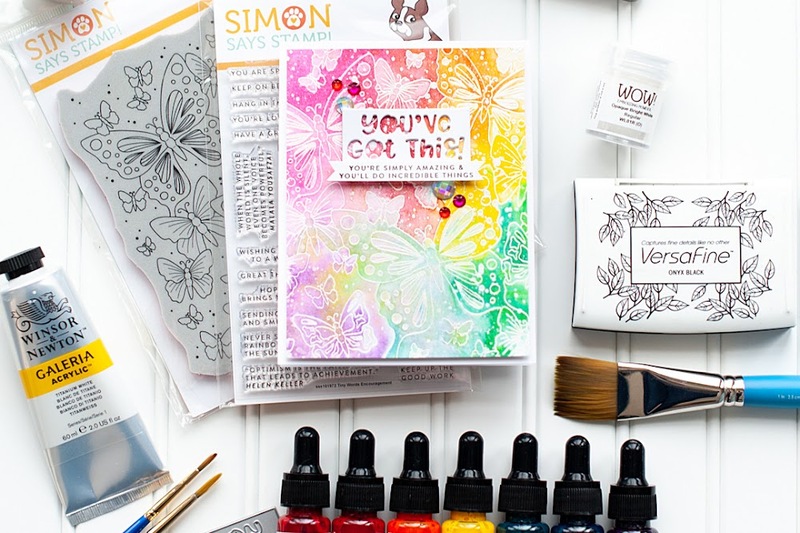 Welcome to day 1 of this month's Lil' Inker Designs April release! We've got some fantastic stamps, dies & papers to share with you this month. They will all be linked below for easy access to viewing & purchasing all of the new items! 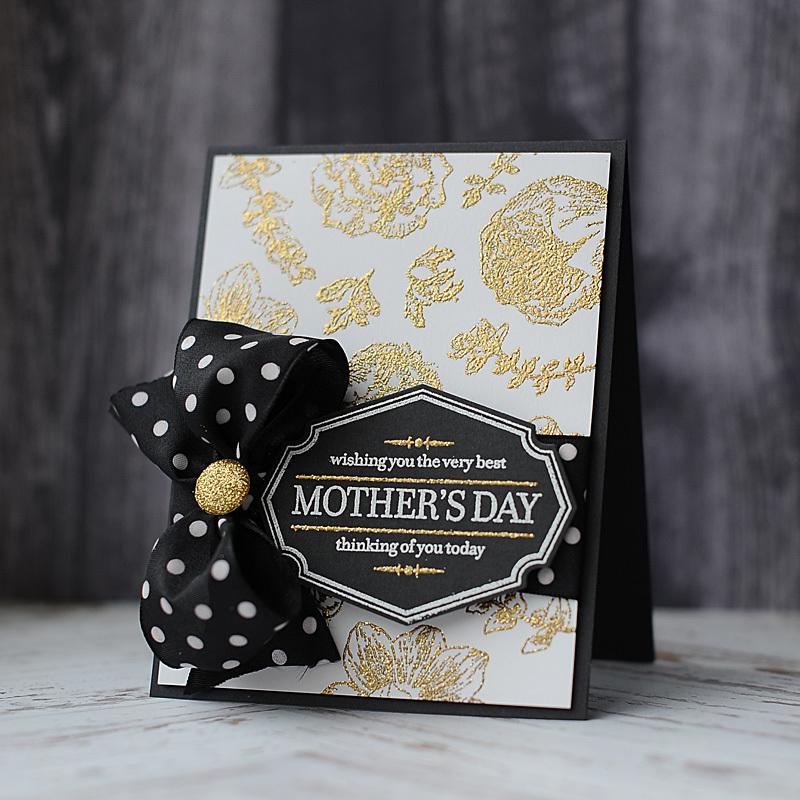 For my first card I created an elegant mother's day card in black, gold & white. I added ribbon to my card, which I haven't done in ages! 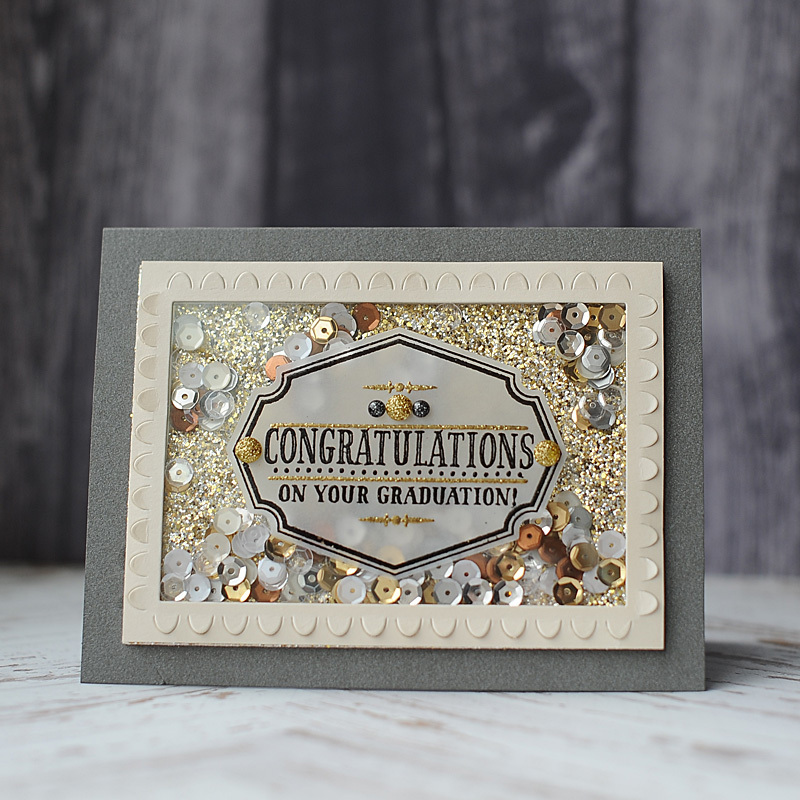 For my second card I stuck with a metallic color palette, and made a graduation shaker card. I paired some of the new items with the previously released "Go Confidently" stamp set. I will be back tomorrow for Day 2 of the release!